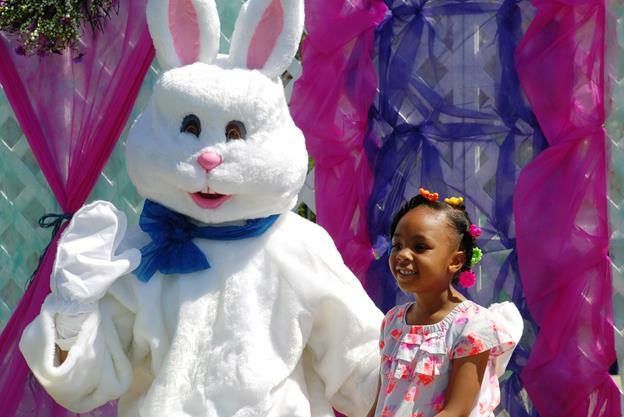 PALMDALE – The popular Children’s SpringFest & Egg Hunt will be held this Saturday, April 13, from 10 a.m. to 2 p.m. at the Palmdale Amphitheater. It is free and open to kids ages 2 through 12. A free egg hunt, crafts and activities will all be part of the fun. A Kids Fun Zone wristband will be available for $2. It will include horse drawn carriage rides (available to ages 13 and above with a separate wristband), petting zoo, super slide, toddler obstacle course, dual hoop zone, home run derby, penalty goal challenge, field goal challenge and rock wall. Children ages 5 and under may be accompanied by one adult inside the egg hunt. Pets and outside food and beverages are not permitted. Food vendors will be onsite for your convenience. For more information, call 267-5611 or visit www.palmdaleamphitheater.com. 3 comments for "Reminder: Children’s SpringFest & Egg Hunt this Saturday"
Geez. I bet you’re a hoot around the holiday dinner table. Do you talk about the fertility goddesses and pagan symbols of each foot item. It a freaking egg hunt. Chill.